‘Tidying Up’ with Marie Kondo is inspiring viewers to de-clutter and make changes to live a better life. 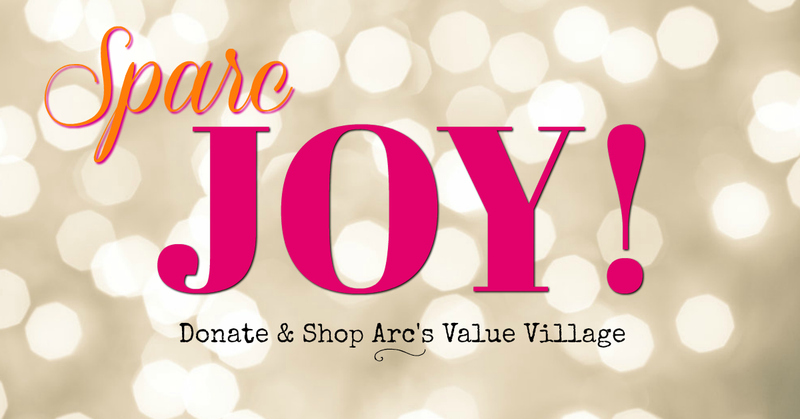 We hope that donating and shopping at Arc’s Value Village will “Sparc” some joy in you, knowing that you are supporting people with disabilities through services of The Arc Minnesota. Make a difference with your donation! Choose The Arc, a local nonprofit serving people with developmental disabilities and their families. All proceeds from your donations to Arc’s Value Village Thrift Stores go right back into our community. Donating is quick, convenient and tax-deductible. Drive up and drop off items seven days a week at any of our four convenient Arc’s Value Village locations. We’ll unload your donations and give you a tax receipt on the spot. It takes just minutes. Great, friendly service too! We’re a proud member of the ReUSE Minnesota. More than 9 million pounds of donations are processed annually at Arc’s Value Village and avoiding landfill. Pretty much any clothing, collectibles or common household items that are clean and in good repair. Here’s an A to Z guide of what we accept. There are some items we cannot accept, such as electronics that may contain hazardous parts. Here’s a listing of what we can’t accept. We take donations 7 days a week. Find the convenient Arc’s Value Village and Donation Center closest to you. Your used car or truck in any condition can really help us make a difference. We also take boats, RVs, motorcycles, ATVs and other vehicles. Drive up and drop off – or we’ll pick up your vehicle for free. You’ll get documentation for tax purposes.